The above named Person is hereby declared wanted by the Nigeria Police Force. A warrant of arrest has been duly obtained from a Magistrate Court in the Federal Capital Territory Abuja against his person. 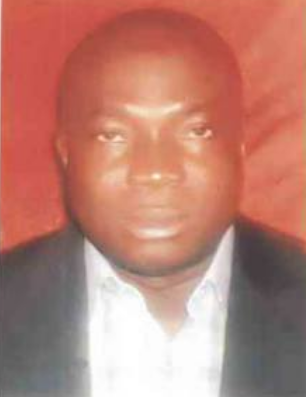 He is wanted for the offence of Criminal Breach of Trust, Theft by Servant, Fraud and Joint Act committed around May, 2014 at Abuja. The suspect being an employee of Paramount Wood Works in Abuja committed the offence through false representation and deceit. He absconded with the sum of Five Million, Nine Hundred and Sixty-Seven Thousand (N5,967,000.00) along with one Honda Civic car Model 2008 with Registration number BS 528 BWR belonging to the company. His Last Known Address: No. 1, Hassan Mustapha Street, Oke-Yidi, Abeokuta Ogun State. He is Yoruba by tribe, aged 42yrs. His features include: Nose: Broad; Mouth: Large; Teeth: Good; Height: 1.65m; Lips: Thick; Eye: Brown; Build: Heavy; Face: Round; Complexion: Dark; Chin: Round; Hair: Bald; Head: Large; Forehead: High; Marks and Visible Signs: Tribal Marks on Both side of the face; Habit and Mannerisms: Traveling, Places Frequented: Lagos, Calabar, Abeokuta, Port Harcourt and Abuja.